So many acronyms! Our consortium of researchers was well-represented last week at the national meetings of NSGC (the National Society of Genetic Counselors) and ASBH (the American Society for Bioethics and Humanities). Our colleagues Roberta Ryan and Cherie Rao presented data from the PRINCESS and KEAPS projects at NSGC, and got lots of great feedback. 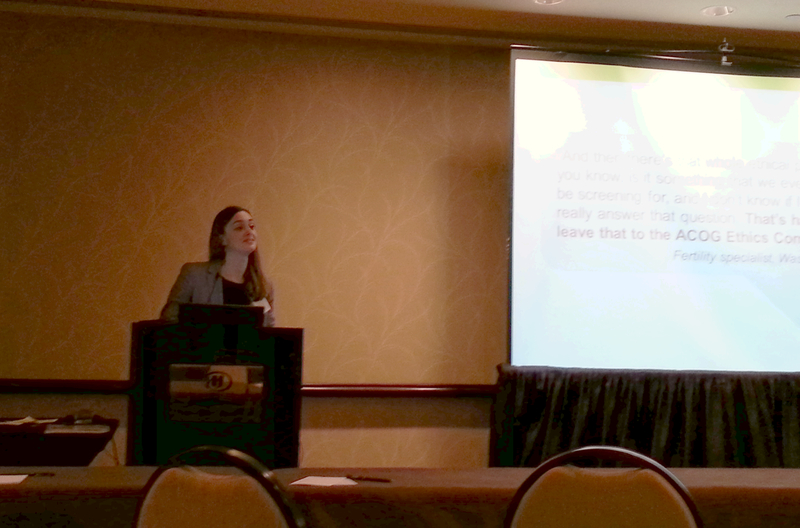 Stephanie Alessi presented data on the way community prenatal care providers use and think about cfDNA screening. 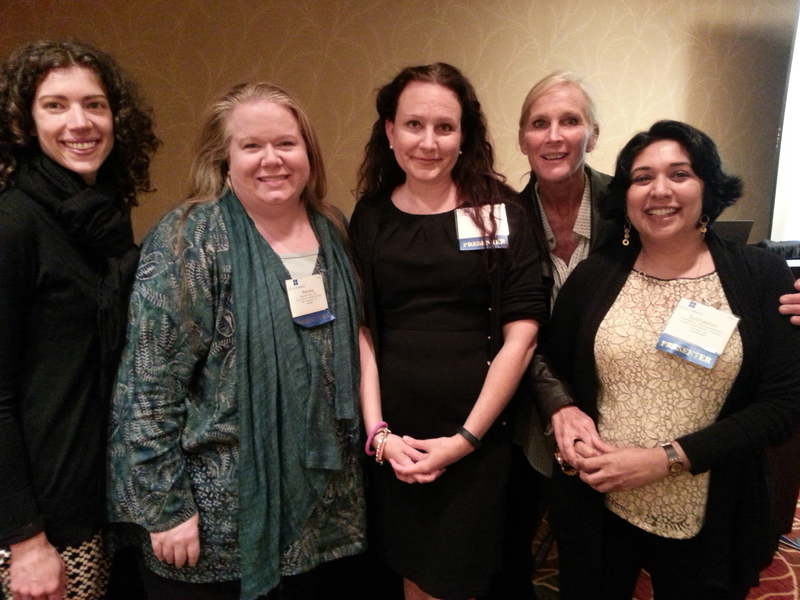 Meanwhile, PIRC members Megan Allyse, Shubha Chandrasekharan, Melissa Constantine, Stephanie Kraft, Mark Leach, Marsha Michie, and Jessica Mozersky respresented PIRC at ASBH, presenting data from KEAPS, PIPS, PRINCESS, Bass Connections, and other studies. 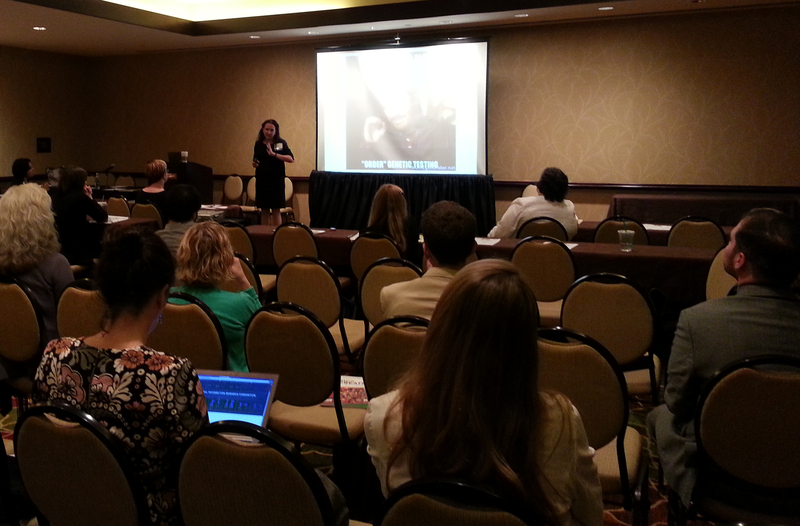 Megan Allyse discussed future directions and ethical issues related to cfDNA screening. If you met one of us there, welcome to our site and please stay in touch! We are always looking for new colleagues and collaborators. Meanwhile, stay tuned, since we continue to research, present, and publish about ethical, social, and legal issues related to prenatal screening and diagnosis. Some of our PIRC crew, left to right: Jessica Mozersky, Marsha Michie, Megan Allyse, Melissa Constantine, Shubha Chandrasekharan.